Anxious for winter to be over and to see the budding of spring? 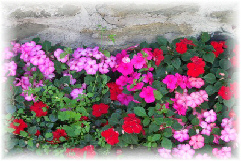 We can supply and install pansies in the early spring giving you the first signs of color and hope for the coming season. After a hot summer, many look forward to the cooler days of fall. 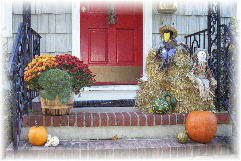 Why not have us set up a nice fall display featuring bales of straw, gourds and pumpkins? We can mix in some mums in the display or plant the mums directly in the ground. As fall comes to a close many people give up on any color in their landscape and grudgingly accept the frozen, barren look. While we can't warm up the temps, we can plant winter kale and cabbage which will provide color and life up to the very coldest of days.